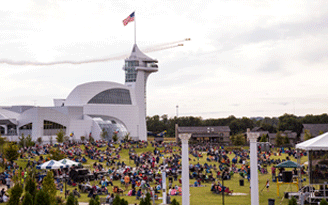 The Great American Airshow at Discovery Park of America in Union City, Tennessee on September 15, 2018. East of the Mississippi River DEBUT of the newly added to Texas T-Cart Airshows Livery, the Pratt & Whitney 985 Powered 450 HP Super Stearman, “Cap’n Smokey”! Look up high in the sky as different planes twirl and dance through the skies at The Great American Airshow at Discovery Park of America!